Owned by Kindred Healthcare, which is headquartered in Louisville, KY, PointClickCare is a cloud-based medical record system that nursing and rehabilitation centers use to automate clinical processes involved in documenting care. The company, which operates in the United States and Canada, utilizes remote workers for several of its customer care functions. While most of the company's positions are in-office, it hires multiple people for the following remote positions on an ongoing basis, in addition to other higher-level remote positions that occasionally become available. Some of the company's in-house jobs, which are mostly in Minnesota and Ontario, may transition to telecommuting our part or full time. 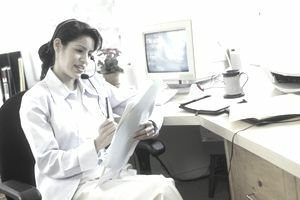 U.S.-based agents, who must have an excellent understanding of the clinical/admin modules used to support patient care, resolve customer issues via the telephone, email or other electronic interactions. A college degree, preferably in nursing, as well as experience using PointClickCare applications, is required in these jobs. Hours are mostly weekdays 8 AM to 7 PM with occasional weekend work. These sales reps need a minimum of 2 years of sales or customer service experience and experience with PointClickCare. A bachelor's degree in Healthcare Administration or prior experience in the pharmacy industry is needed. Various remote sales positions in the United States include channel sales, inside sales, sales ops, assisted living facility sales and account management are hired. Apply online at the PointClickCare website where you can upload your resume. Find more companies that hire home-based employees like PointClickCare on these lists of telecommuting jobs.